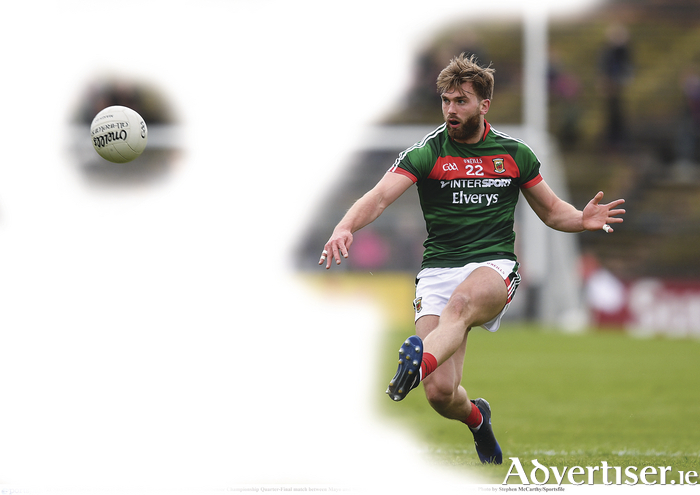 Mayo take on Galway in the Connacht semi final on Sunday in Salthill in what promises to be a mouthwatering clash to see who will face off against either Roscommon or Leitrim in the provincial show piece on July 9. The championship starts on Sunday. With the greatest respect to the games that have been played already, Sunday sees two teams with aspirations for genuine silverware going toe to toe which will give the winners ultimate bragging rights over their traditional rivals and a probable Connacht championship, leaving the losers to face a struggle through the qualifiers. There is a lot on the line. Galway will want to prove that last year's victory against Mayo was not a flash in the pan and that they are capable of beating one of the top teams in the country on a continuous basis. Mayo on the other hand will want to prove they got caught on the hop last year and complacency cost them dearly and prevented them winning an unprecedented six Nestor cups in-a-row. For me, a competitive Galway is essential for football in the province. They had fallen into obscurity for a few years losing ground on the top teams year by year. Their resurrection is good for the game and good for Mayo as it will certainly have meant Mayo's training would have been ultra competitive since their victory over Sligo. Complacency will not be an issue this time around from Stephen Rochford's team. There is also the other small matter of the roll of honour in the Connacht championship which now stands at 45 championships for Galway and 46 for Mayo. Mayo need a victory to keep their fiercest rivals at arms length in that particular battle. Galway have done very well getting promoted to Division One for next season winning the Division Two league title along the way beating Kildare in the final. But for those of you that watched that Division Two final and then the Division One final between Dublin and Kerry thereafter, the competitiveness and intensity of both games were poles apart and probably worrying from a Galway viewpoint. That is the level Galway need to strive to be at.We know Mayo are capable as they have proved consistently over the last five years losing narrowly to the eventual All-Ireland champions be it at the semi final or final stage. There are likely to be a number of key battles on Sunday. The way in which both teams counteract the threat of their opposing half back line will have a big bearing on the game. Gary O'Donnell and Johnny Heaney are very good going forward and are likely to keep the umpires busy if they go untracked. On the contrary Mayo have some of the best in the business in Lee Keegan, Colm Boyle, and Paddy Durkin. Boyle likely to anchor while the others let loose. Mayo are blessed to have such a talented group in that sector. Paul Conroy's display at midfield last year ultimately won Galway the game, he was also the man of the match in the Division Two final against two very accomplished midfielders from Kildare in Tommy Moolick and Kevin Feely, so Tom Parsons and Seamus O'Shea will certainly need to put in big shifts to thwart his influence. The management have a little bit of a selection dilemma with fit-again All-Star corner back Brendan Harrison available and ready, it would be harsh on Chris Barrett and/or Keith Higgins to lose out as they did all they had to against Sligo, but can you really afford to leave a man marker of Harrison's calibre out; I think not. Where to play Aidan O Shea question still looms; he may not have been bothered starting on the bench against Sligo but trust me when I tell you he will want to start against Galway. Galway is the game in the province everyone wants to play in. His brother Conor's absence through injury may result in him getting him a starting berth, although it would keep Galway guessing were he to be used as a substitute. Mayo are 4/7 while Galway are 15/8 to win the game. For me, last year's loss and Mayo's experience should see them through.